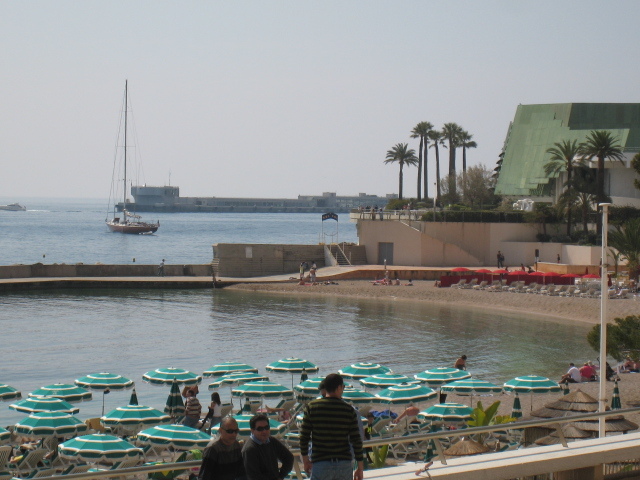 Here you see the central area of Larvotto Beach and on the right, the edge of the Grimaldi Forum. In the distance, the 'digue semi-flottante ' at the port, which allows massive cruise liners to tie up and disgorge passengers into Monaco. 1.To bring up and expel from the throat or stomach; vomit. 3.To surrender (stolen goods or money, for example) unwillingly. Oh Lordy, it's 10 at night and after a loooooooong day I fell asleep on the sofa, woke up and realised I'd not posted on DP today, hence using the word disgorge. and that's exactly what I meant - to discharge or pour forth the passengers. Perhaps there is another word to indicate this but I'm too tired to think.